We’ve just reviewed several avenues of research done in the East and in the West regarding the disease preventing and vitality raising health benefits of drinking tea. It seems obvious that tea should be an essential part of our diet if we want to maintain good health and vitality. As a matter of fact, whenever I am researching and writing these articles I feel a sort of desperation that I’ve not consumed enough tea for the day and dash off to brew a pot. Experts vary on their suggestion for the amount of tea to drink each day, but it’s at least 4 cups if you want to reap the great rewards, and who wouldn’t? What Do Tea Flavonoids Do for Us? Tea leaves and buds from the Camellia Sinensis plant contain a particular group of powerful antioxidant compounds called flavonoid polyphenols. The tea leaf’s antioxidants, aka catechins, are responsible for the great benefits we derive from consuming tea, particularly those found in green and white teas. 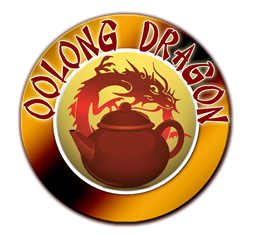 And oolong teas and black teas are not to be dismissed as they also have complex catechins and provide their own set of healthy rewards for those who enjoy drinking them. Catechins are tea’s greatest defense against damage that ensues when toxic free-radical molecules form within the human body. Left unchecked, these radical molecules impair healthy cells, the result of which might lead to organ malfunctions and disease. Differences in tea processing creates the six classes of tea, i.e., Pu-erh, black, oolong, yellow, green, and white. Antioxidant properties, along with several other factors that make each tea cup of distinct, differ with each class, thus perhaps changing health benefits derived from any one class. 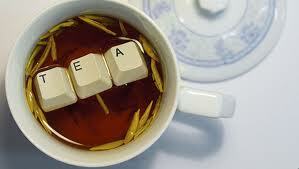 Flavonoids levels increase in people who drink tea over extended periods of time. While some studies conflict with each other, one study found that women under the age of fifty who consumed tea every day had a reduced risk of getting breast cancer. Women who consume green tea on a daily basis live longer while having cancer of the ovaries than women who don’t consume tea. A link between tea and the inhibition of lung cancer cells – at least in test tube laboratory studies; little research has been done analyzing the link in human beings. A link between cancer of the esophagus and consuming scalding tea. Women who consume black and powdered green (made from ground tea leaves) tea are less apt to get bladder cancer. People who consume great amounts of green tea are less apt to get pancreatic cancer. Green tea supplements in the form of extracts reduce the risk of getting cancer of the prostate. A link between L-theanine, an amino acid found in tea, and reduced feelings of depression. Daily supplements or green tea extract reduce hemoglobin A-1c (a diabetes indicator) in people who are borderline diabetic. Consumption of black tea helps to control diabetes. Drinking green tea eases the pain and onset of rheumatoid arthritis, while drinking black tea leads to increased chances of getting it in people of certain ages. Consuming green tea raises metabolism, reduces fat (particularly belly fat), and reduces weight in the body. Applications of green tea to acne on skin help prevent outbreaks and repairs skin tissue from acne scarring. It is important to note that research on the health benefits of tea are ongoing and science has not so far medically proven that tea consumption will absolutely work to help defend against illness. While studies noted in this article are extremely positive, in some cases, other studies disprove or are inconclusive of the same relationships between disease prevention and drinking tea. We in no way are providing professional medical advice or recommending that individuals drink tea to replace professional medical treatment to improve or heal either a suspected or known illness. Individuals should always seek professional medical advice when warranted. In light of this, our reasons for drinking tea should remain as they’ve been for centuries; it’s a wonderful beverage that delivers great taste, varying in its appeal from the earthy green teas to the rich black tea, with the delicate, sweet flavors of oolong thrown into the mix. Drink it for its decadence, to maintain alertness, for its providing a feeling of satisfaction and well-being, but mostly, let us drink it to enjoy the experience of tea. How Does Green Tea Help Alleviate Feelings of Depression?